Baxi is a major international company with an impressive turnover. The brand was launched in 1866 and it continues to be recognised for its commitment to innovation, technology and excellence today. 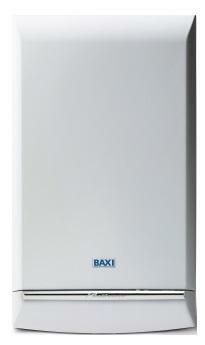 The Baxi Megaflo System range of boilers combines style with performance. The fact that it’s a Band B rated product, means it's guaranteed to help you save money and look after the environment. Many of the system’s major components are already built within this boiler, allowing for ease of installation and a contemporary look. The Baxi Megaflo is available in 15kW, 18kW, 24kW, 28kW and 32kW models all with an impressive 88.6% efficiency rating.